Congrats to Jen! I'll be emailing you shortly. 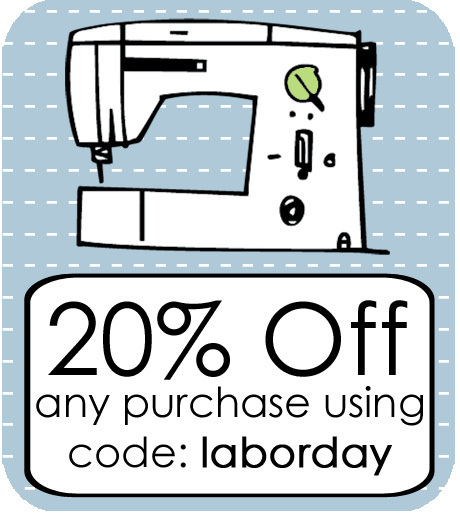 Don't forget, there is a coupon code for 10% off your purchase at Too Sweets Patterns you can use through Sept. 23, 2012....enter LBGSTUDIO10 at checkout. Also, if you're in the mood to sew up a new accessory for yourself or get a head start on holiday gift sewing, head over to Michelle Patterns. Save 20% on any purchase through Sept. 3, 2012 with the code laborday. I love your bag insert - where did you get the hot pink insert for the camera lenses? I loved your bag insert, the hot pink padded one for the camera lenses - where did you buy this one?